As the year 2017 draws closer to an end, I’ll like to share the list of games that keeps me going. Mobile Games is one of the things that keeps one going in the absence of internet services, or when bored, tired and/or lonely. It makes one forget how stressful the day has been and helps us shake off boredom and loneliness. If you are a game lover just like me, you’ll agree with me on the that “though all games are for fun, some are less interesting while some can keep you at a spot for hours”. Today, I’ll be sharing only thrill-filled games I really love and enjoys playing when bored or during leisure times. All games in this article are solely android games and they are compatible with android 4.4, 5.0, 5.1, 6.0, 7.0 smartphones. If your smartphone packs quality GPU + a good RAM space, then, you’ll get the best of Android games. This is my favorite soccer game so far. 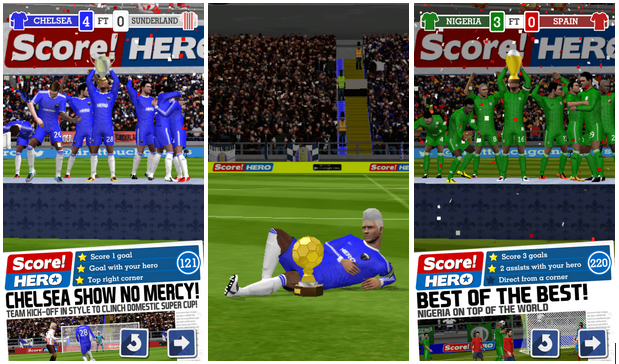 Score Hero lets you pick up a player and train him to become a Hero! by winning matches. Game Highlight: Pick up a player and start training him to BE THE HERO! Perform all soccer skills with your hero and you struggle through the 520+ challenging and pave your way to world Glory! The most intriguing part of this game is the stunning 3D graphic display. I am currently in level 290 and am still moving up, think you can catch up with me? get the game installed and place the challenge. Win trophies, awards, change clubs, score goals, represent your country and go for world glory/fame! Easy and simple to play, but tough to master. Astonishing cut scenes, 3D graphics, and animations. Intelligent AI adapts to your passes, and shots making each play through different. Connect to Google Play Game to view your achievements and leader-board. This game actually should be the number one in my list but my love for soccer is second to none. 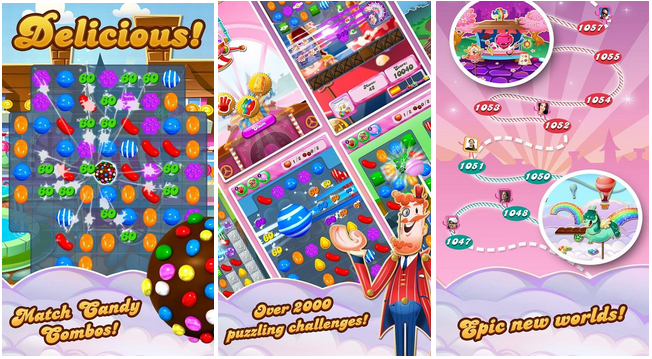 Candy Crush Saga is one of the most played games worldwide. funny enough, even old grannies have this game installed on their Android powered smartphones. Game Highlight: Join Mr. Toffee & Tifi on a sweet adventure through the Candy Kingdom. Pass through magical lands and visit exciting places on your way through the thousands of fun levels loaded in this interesting puzzle adventure. This game has about 2000+ interesting game levels and you are rewarded with sweet bonuses when you complete a stage/level/competition. Whirl the Booster Wheel everyday for sweet boosters. Unlock the Dreamworld when you find your way through the 50th level and escape reality. Meet sweet characters as you unwrap delicious environments. See which of your friends is topping on the Leader-board and challeng him/her. Easy to sync between devices. 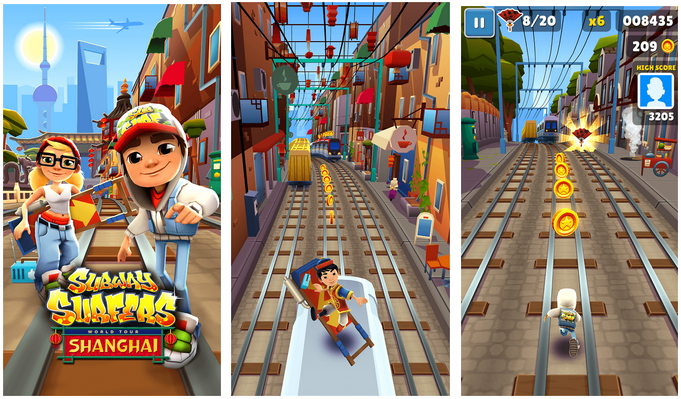 Subway Surf is one of the interesting endless arcade games. It is simple and easy to play. Game Highlight: Guide Jack and other characters to run/dodge pass the incoming train, avoid hitting/crashing on obstacles so you won’t be caught by the officer and his dog. I really love the HD graphics this game packs, it’s astonishingly awesome! C’mon join the most daring chase now! fast-swipe acrobatics at lightening speed! 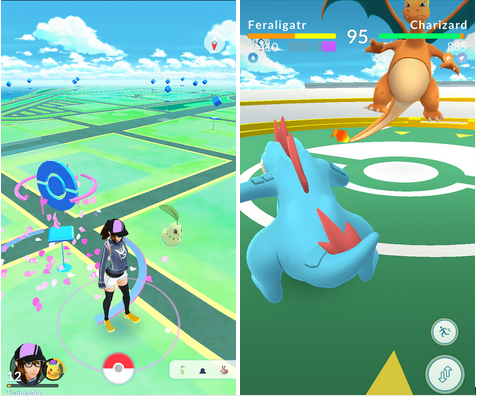 Pokemon Go has been a sort-after game for quite a while now. It is a very interesting game and fun to play. Game Highlight: Search far and wide for Pokémon and items. Take a walk around a neighborhood, locate a Pokémon nearby, aim at it and throw a Poké Ball. Stay alerted or you may lose it. N/B: This app only works on devices with 2GB RAM or more and must be running on Android OS 4.4 and above. This game is optimized for smartphones, doesn’t work on tablet devices. Its compatibility for devices without GPS capability is not guaranteed or devices with only Wi-Fi networks. Trust me, you can learn some cool tips on how to ride/control a car while playing this game. It coaches you on how to drive through highways and how to do swift overtakes. Dr. driving is developed by Studio Up Down, and they have many other sweet racing games. Game Highlight: Explore the street in a cool and crazy manner with this stunning driving game. Connect to Google Play Game to compete with other crazy drivers. This is the most dreadful chase of all time. It is the most downloaded racing game and it is endless. Game Highlight: You just stole a cursed idol from a sacred temple, and now you’ve got to run as fast as you can to escape the Demon Monkeys guarding the temple. Swipe your finger left/right/up/down to jump/dodge obstacles and to also change directions. 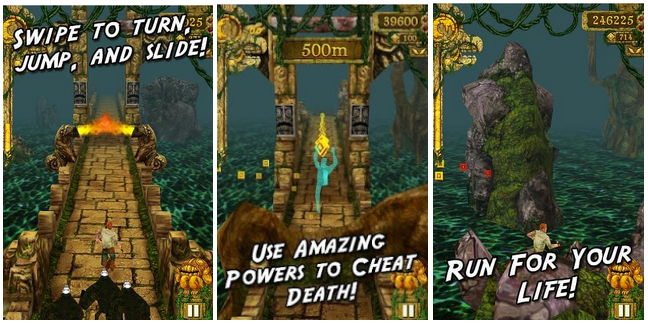 Perform all possible stunt(s) as you race down the temple and sheer clifs to ensure the monkeys never catch up with you. Are you a fan of tennis ball? this game is really fun. The 3D graphics display is stunning and eye catching. 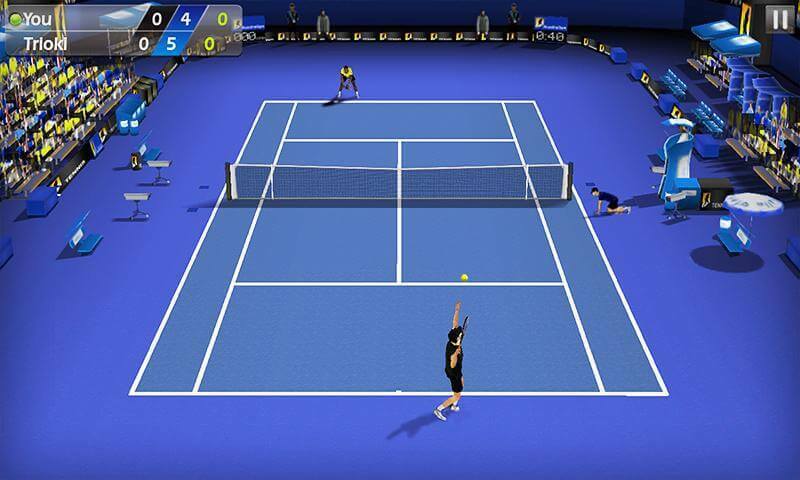 I have this game installed in all my Android smartphones though am not a lover/fan of tennis. Game Highlight: Swipe your finger either ways on your screen to hit/slice the ball. There are many characters to choose from in this game. So you’ve gat to choose one and steer Him/Her to success by wining the four Grand Slam tournaments. While playing this game, it really feels like you’re in the pitch doing it out with an opponent. 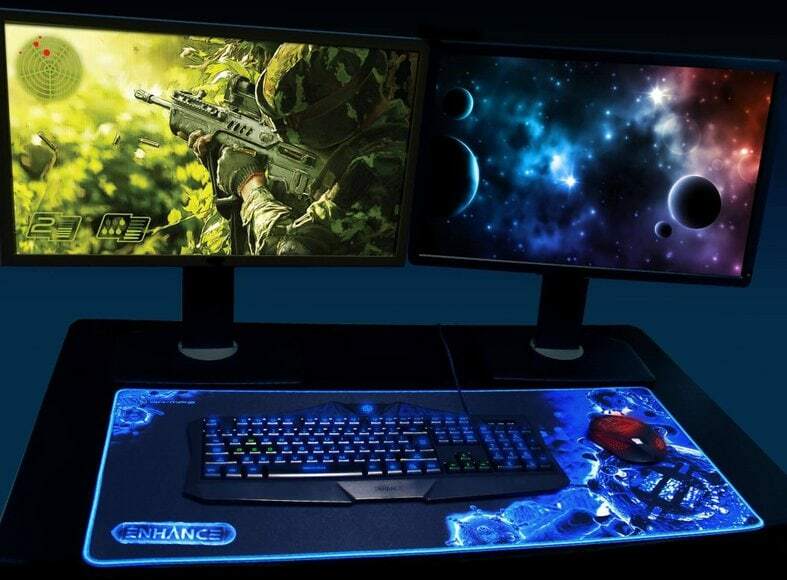 Install and feel the PASSION! 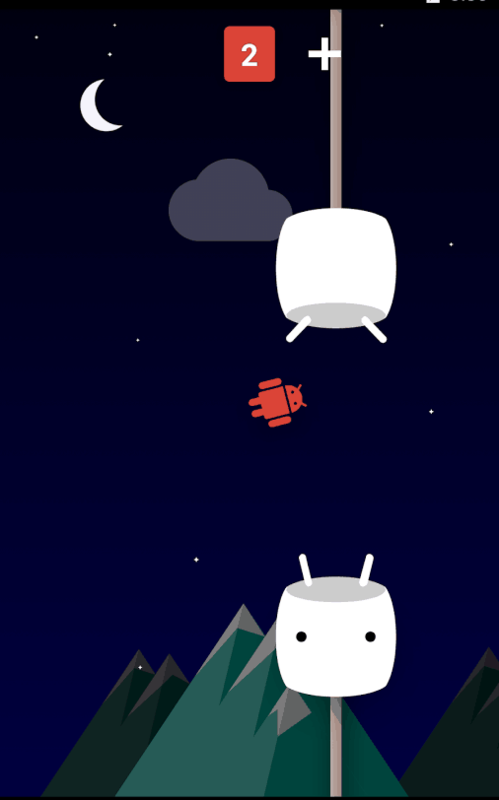 If your Android smartphone runs on Android 6.0 Marshmallow OS then you’ve got to check out this inbuilt game called Google’s Flappy Bird game (Easter Eggs). This game is built-in. You don’t have to download it or install from any third-party website. But to access this game, you’ll have to perform some cool tweaks with your smartphone. Below is how it actually looks. The tips to access this game is found in the Android 6.0 tutorial post linked here. I am addicted to mobile gaming, and these few are the ones that interests me the most. I played them a lot this year, and would still play them the coming year. Feel free to add yours to the list and do share this post with friends and colleagues that loves playing games on their mobile devices. Next ItemWonderFox DVD Ripper Pro Review: the right tool for Ripping DVDs?